Stryker CB radios feature a line of CB radios that offers an efficient medium for communication along with embedded features that boosts the productivity and experience of the user. These Stryker radios differentiate themselves from their peers by offering uninterrupted communication along with a lot of options that could be customized by the user to suit his requirements. 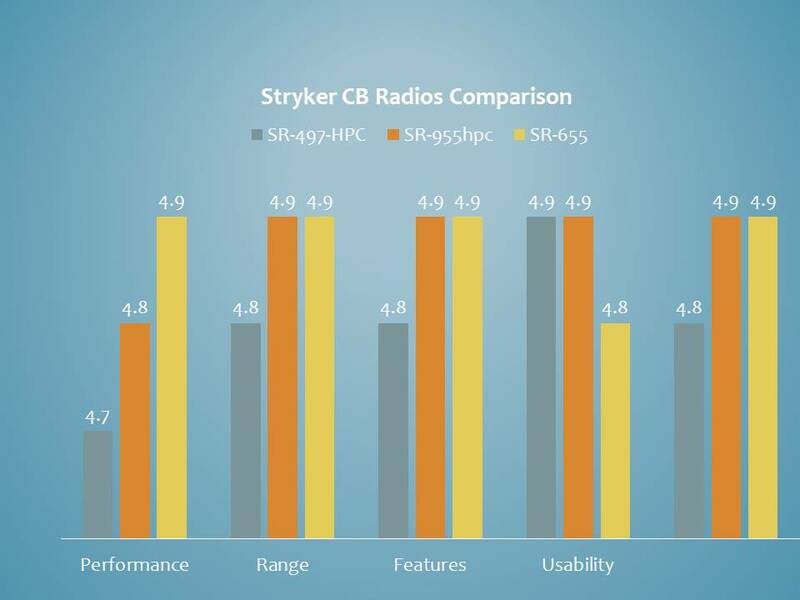 While any of the CB radios from Stryker would offer you an enriched experience, knowing the right product with the right features would ensure value for money and serve your purpose the right way. 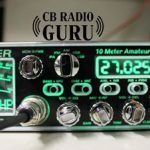 This is an in-depth article having its backbone supported by the experiences of 210 customers who have used various CB radio devices from Stryker. [easyazon_link identifier=”B00AYIL1S8″ locale=”US” tag=”cbradioguru08-20″]Stryker SR-655[/easyazon_link] 18 x 6 x 3 inches 4 FQP13N10 MOSFET transistors 4.9 Stryker SR 655 is our favorite one. This is a flawless radio with excellent transmit and receive facility. The highly customization nature of the device makes it many Truck driver’s favorite choice. [easyazon_link identifier=”B00J9KMQHM” locale=”US” tag=”cbradioguru08-20″]Stryker SR-497-HPC[/easyazon_link] 16 x 9 x 3 inches 6 IRF-520 MOSFET transistors 4.7 The 497 from Styker is a less power consuming radio with simple controls which will make your day. Moreover, with some peaking and tuning will give you a highly impressive CB. [easyazon_link identifier=”B00AT1TF10″ locale=”US” tag=”cbradioguru08-20″]Stryker SR-955[/easyazon_link] 16.5 x 3 x 16.5 inches 4 FQP13N10 MOSFETs 4.8 Styker 955 is the best when it comes to SSB feature. 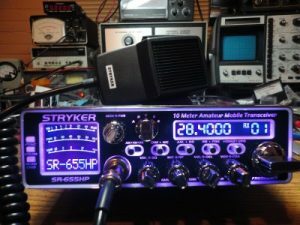 It is very good long-range Stryker radio any CB radio user will love. It is a pretty stable and excellent radio which is highly recommended for Truck drivers. CB radios have been one of the most practical two-way radio systems for individual consumers and other users like as truck drivers, radio hobbyists, and those in need of short‑range radio communications, such as electricians, plumbers, and carpenters, who needed to communicate between job site and main office. 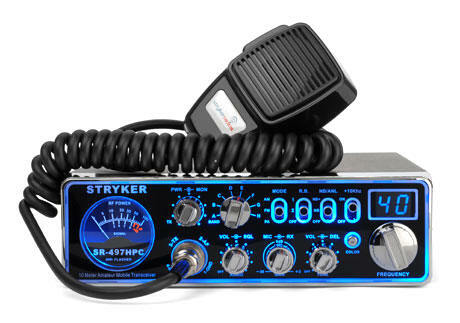 Among those reputed brands of CB radios, the Stryker brand too holds a place of its own. VFO: – For enabling continuous operation throughout the frequency range. It’s always hard to compare different devices in the most effective way. 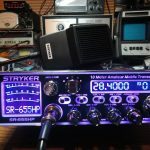 But we would say that this comparison and review of the best three CB radio devices from Stryker brand will be close to the best. Why? We have taken into account of the experience of over 210 valuable customers who have used these radios. Although mobile phones and online sources have long ago dominated the space, radio still assumes much importance when it comes to specific use cases. Stryker SR 497HPC has got the changing and dimming face light feature which looks nice. It is a stand out feature allowing ease of use even during the darkest operating conditions. The variable talkback option is also impressive. The radio is loaded with features that are customarily only available on much more expensive radios. 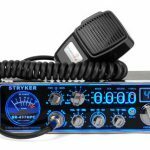 Stryker 497HPC is the finest in its class 10-meter radio for power out and professional made quality. These radios are the best radios money can buy. They are powerful and beautiful and proves to be good listeners. Cord comes out the front which many users might be like and find convenient. One other attractive feature is the simplicity of controls. All of the pot switches are double and combined with a well thought out companion control. Two selectable Roger beeps on this radio is an exclusive feature not found on other manufacturer’s radios and differentiates itself from its competitors. The radio has got great sound quality, great features and is very easy to install. It’s fairly loud and holds up well. Add a cool, selectable color display to the mix and the Stryker 497 is set to go. 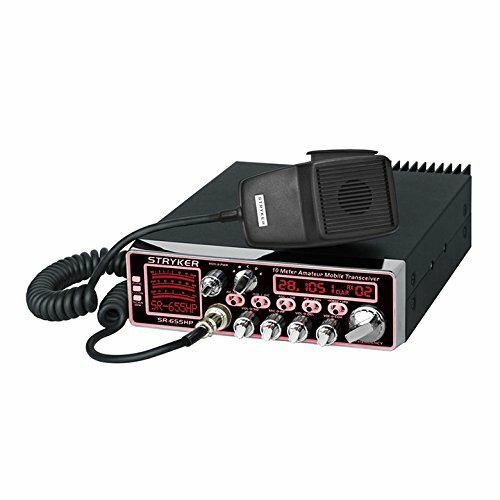 If you’re ready to step into the world of heavy-duty two-way radios, best consider Stryker 497 CB Radio for no-fail communications on the 10 meter radio band. The Stryker SR655HP is a high-performance two-way radio designed for excellent transmit and receive quality while offering extreme reliability. The radio is highly customizable through the on-board controls and a PC connection. The Stryker 655 works great and the transmission and receiving are top notch. F or someone new to the CB world, you may not be able to just plug and play the device as you think, you will have to take it to a tech and get it converted to CB channels. The conversion of the radio is simple and sounds great out of the box, though the mic of the radio has been perceived to be of poor quality compared to the overall quality of other components. A Ranger/Wilson mic could be paired with the radio to take care of the quality of stock mic. 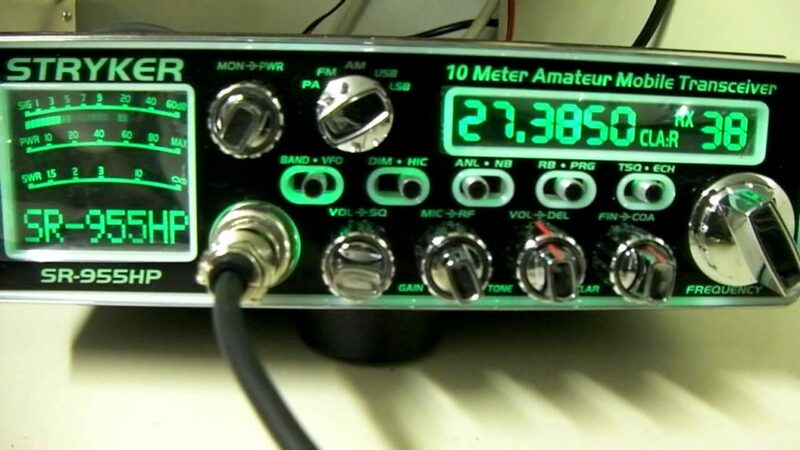 The radio is very loud and is loaded with a lot of features and has been lauded to be the best amateur radio by many users. If the radio is to be used in the big truck, it might need to be converted for around $40. Out of the box, the radio was peaking at 10w carrier and about 80w swing which is very respectable. The Stryker SR 955HPC is designed to produce an excellent reliable performance. The radio features an attractive seven color LED backlit faceplate that lets the operator select the best contrast for day or nighttime operation which means there would be no need to suffer eye strain while working your 10-meter unit. This is an excellent unit for SSB or AM and it shines on SB giving over 100 watts on the built-in meter. 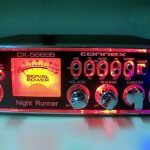 No other radios in this price range are offering SSB and if you love SSB, you would definitely appreciate this device. You would not need a power mic with this radio as the stock mic works just fine and this radio sounds clean and crisp over the buy. The Stryker 955 would need some modifications to accommodate CB channels. The software that comes with the device is fairly easy to operate, works on windows 7 64 bit and has got nice features like SWR cut off and low and high power safety. It allows customization of frequencies assigned to channels in each band as well as customization of roger beeps and radio operating parameters, roger beeps may be programmed and individually assigned to each channel. The radio is almost quiet with the RF gain all the way up. The large signal meter to the left of the face plate and the back-lighting on the face plate looks amazing, adding flair to the radio. All the radios from Stryker mentioned here presents a strong case of their own. All of them sports excellent features which add to the functionality of the device and provides a smooth experience. These devices offer a slew of features like clarifier, variable control, PA capability, LED backlit face plate, VFO, dimmer control, ANL etc. that ensures that the user has a seamless communication coupled with an enhanced experience. Each of these radios sets itself apart in a lot of ways. Stryker SR-955 is the most powerful of the lot producing over 70W PEP. It’s a high power 10/12-meter radio AM/FM, SSB two-way transceiver designed to provide excellent performance and loaded with top quality features. Its software with a lot of customization options sets it apart from its peers. Vehicles with extra space will make use of this large sized radio efficiently. The superior transmit, receive and reliability are something which will remind you constantly that you have made a right decision by buying this great product. While the stock mic might not give you the best experience, the SR-655 packs a variety of features like instant channel 9/19, 32 stage dimmer control, variable power control etc. that makes it worth the price. If you are in the market for a high-quality 10m radio that talks great and doesn’t burn your pocket, this is the one you should go for. The SR-497-HPC Radio from Stryker is the finest in its class 10-meter radio for power output and professional quality. It is a practical take no prisoners, two-way radio. The device enjoys bulk of features ranging from two selectable roger beeps to digital echo and variable power control. If you are trying to foray into the world of heavy duty two-way radios, you should set your eyes on the SR-497-HPC. Got the Powerful CB from Stryker? 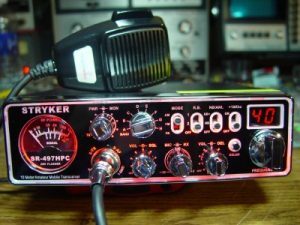 CB radios, like the ones from Stryker’s have created a class of their own even amidst advanced means of communication in this modern world. Players like Stryker have redefined the space bringing out exceptional devices with multiple utilities that provides a seamless and quality experience towards effective communication. The right CB radio, fit for your requirements, could make your life easier and improve productivity, providing a different level of experience.